Three roadside retail units have been built at a busy industrial estate in the Black Country - and the first one is already occupied. 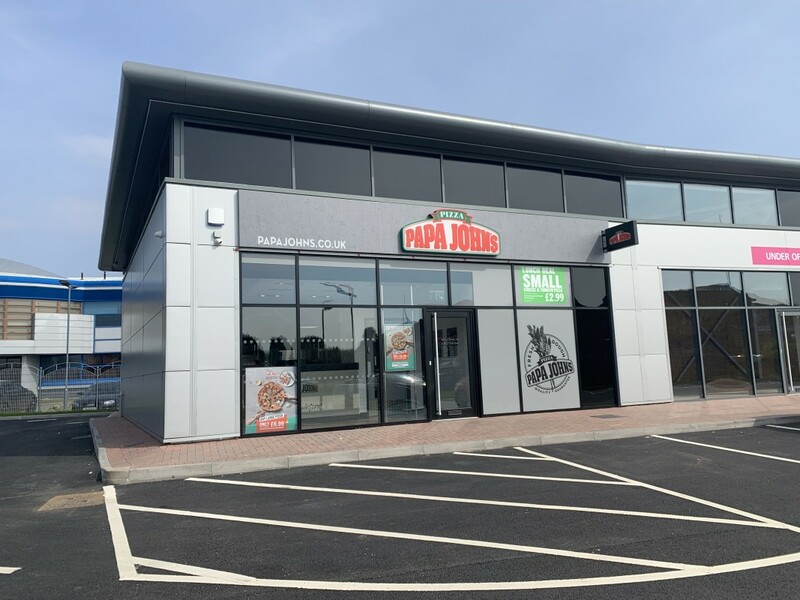 Pizza takeaway Papa Johns is the first outlet to open at the Gatehouse Retail Development at The Pensnett Estate, Kingswinford, the flagship estate owned and managed by commercial property and investment company LCP. The speculative development, which is located on the main entrance to the estate on Dudley Road, comprises three units, ranging in size from 900 sq ft to 1190 sq ft. The central unit is under offer, while the remaining 1190 sq ft is still available. Andrew Barrett, LCP retail director, said: “The Pensnett Estate is our flagship estate and is one of the largest business parks in the UK with more than 3,500 employees at 160 businesses; although there are a handful of retail outlets nearby, we recognise that having shops on site will be hugely beneficial to people working here, as well as to passers-by and locals. Occupier enquiries should contact the retail lettings co-ordinator at LCP on 01384 400 123.